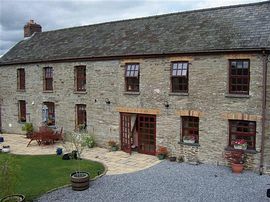 Stone built 19th century woollen mill. Have a relaxing break in our stone built woollen mill, converted but retaining the charm and period beauty of a 19th century cottage. 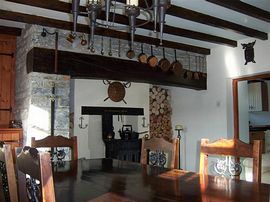 All rooms provide for your comfort including satellite TV and tea and coffee making facilities. There is car parking available at rear. The history of Drefach includes its woollen industry, therefore there are now woollen museums in the village. 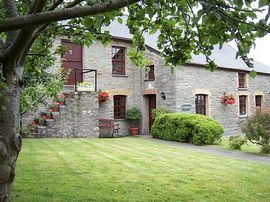 Locally there are country and woodland walks in the beautiful Teifi Valley; a toy museum, pubs/restaurants within walking distance and fishing, horse riding and fun activities for all. The market town of Newcastle Emlyn with its charming shops, pubs, cafe, castle ruins, just four miles away. Visit Cenarth for the famous Salmon Leap falls. The breath taking Cardigan Bay coastline is just twenty minutes drive away and is well known for its Dolphin play-grounds. 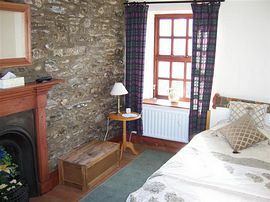 Double room from: £45.00 based on two people sharing. 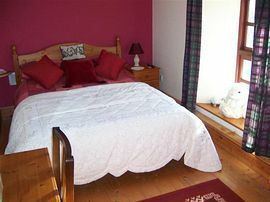 Double room from: £35.00 single occupancy. Check in times, after 4pm. 16 miles West of Carmarthen the A484 and 4 miles East of Newcastle Emlyn. We are situated appoximately 500yds. from the National Woollen Museum, which is well sign posted.